Got memory ram -- We got cash! A-Z Computer Liquidators buy scrap computer memory RAM For Cash. Sell scrap computer Memory RAM. A-Z computer liquidators have been buying electronic gold bearing scrap public sectors & large companies since 1990. We pay cash for scrap computer memory (RAM). If you have a large load of scrap memory RAM call us at 866-666-0340 for a fats quote. Are you a recycler with bulk memory bins to sell? We Buy memory!! Manufacturer Memory Brands Wanted: Samsung, Hynix, Infineon, Epida, Micron, PSC, Winbond, NANYA, Kingston, ADATA, Toshiba, M-Systems, SanDisk, STMicroelectronics, Intel, Motorola, Sun, TSMC, NVIDIA, HP, IBM, Apple Computer, lenovo, VESTEL, Pioneer, LEGEND, Matsushita Electric, SMIC Europe, etc. Looking for quotes on DRAM, Sdram for Desktop memory, Laptop memory & Server Memory - fast? We buy scrap memory RAM For Cash. Sell scrap computer Memory RAM. A-Z computer liquidators have been buying electronic gold bearing scrap public sectors & large companies since 1990. We pay cash for scrap computer memory (RAM). 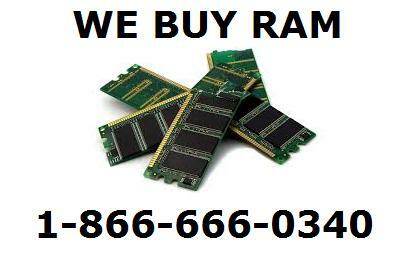 If you have a large load of scrap computer memory RAM call us at 866-666-0340 for a fats quote. Are you a recycler with bulk memory bins to sell? Server Ram from ProLiant, PowerEdge -- we will buy out data centers equipment. Git Cisco, HP, Dell, IBM and other memory modules? Sell your memory modules to us for cash! OEM Samsung DRAM and modules, Hynix and Micron memory modules wanted. Wanted OEM labeled, stickered and bar-coded memory. Sell Memory! Computer memory recyclers, ewaste recycling companies we buy recycled computer memory submit your memory ram. Schedule a pick-up today! Recycling facilities of IT equipment and electronic laptops, desktops, servers; sell us you memory /CPU's. We work with 10,000+ E-waste recyclers through out the united states offering us electronics equipment (Computer Memory Scrap Gold, Sun Server, desktop, laptop ram). 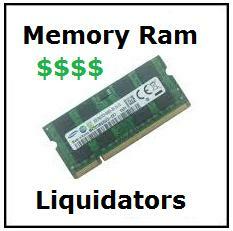 A-Z computer liquidators can take any working or non-working memory 16gb - 32gb+. We Buy micron sd, SD card, memory stick pro duo, compact flash card and ssd.